Divided into categories such as art, sew + dye, florals + plants, Workshop’s Camp DIY is loaded with crafts for house decor and outfit adornments. Visitors can try their hand at shibori dyeing bandanas and sarongs, sewing beer koozies, block printing, patch making, flower crown assembling, and more. Don’t forget to bring your denim jackets for custom chain stitching to personalize your closet staple with funky patches and embroidery work. OMCA is continuing to engage Oakland in participatory arts projects outside the museum’s walls, through OMCA Connect. OMCA Connect brings together community members, professional artists, community-based organizations, and Museum staff to create participatory arts projects in community spaces and surrounding neighborhoods. CLIF Bar and Pow Action Fund (POW) have come together to help #Protecttheplacesweplay - You can help too! Stop by the Clif Bar booth and snap a photo with you and your friends. For every photo taken, CLIF Bar will donate $10 to POW! You will also get a custom pin and be entered to win a prize pack from POW, CLIF and Squaw Valley! Booty Records, TIMF's official on-site pop-up music shop powered by Amoeba Records, is back to unleash some crate-digging goodness on the festival grounds. Scour through their diverse and affordable trove of physical music, such as new and used vinyl and CDs, as well as posters and t-shirts. Originally displayed at Burning Man 2015, Mechateuthis is a mechanical giant squid kinetic sculpture built by Nevada-based “gizmologist” Barry Crawford. Mechateuthis is powered by eight hand cranks, which control the deep ocean dweller’s tentacle movement, pupil dilation, beak snapping, and mantle fin waving. 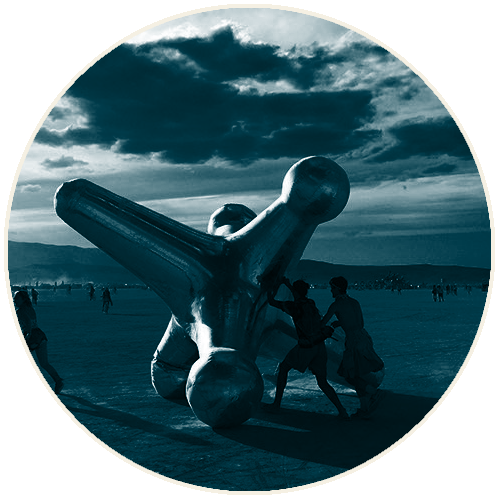 San Franciscan art collective Chromaforms conceived of the Jack, a colossal inflatable version of the classic game piece, for Burning Man 2016. Instantly recognizable yet simultaneously alien, the Jack is a large interactive sculpture that encourages participants to rediscover play + More! Influenced by Spanish architect Antoni Gaudi, Fly By is a collaboration between craftsman Peter Hazel and steel artist Colin O’Bryan. Hazel and O’Bryan constructed the 1800-lb giant manta ray sculpture with giant stainless steel, fused/slumped glass, and LED lights. Robert Bose’s Balloon Chain is a large scale ephemeral kinetic sculpture made up of multiple expansive strands of helium-filled balloons and custom built LED lighting, making the open sky a canvas. 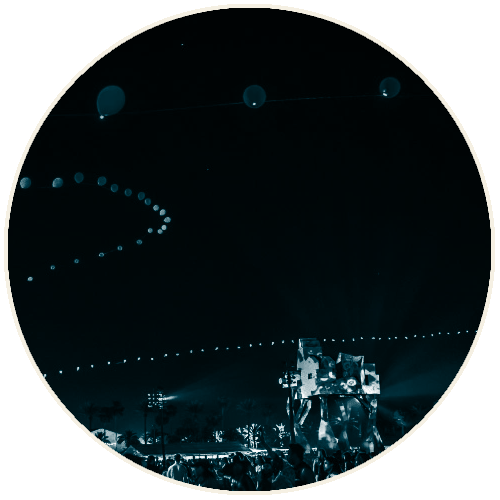 The chain, which can reach over a half a mile into the atmosphere, is always handheld and allows the art to be both mobile and interactive for all to participate.